Platform Size : None. Vestibule only. Kitchen/Galley: Yes, small, at A-end of car. ADA Features: 1 ADA Restroom, ADA acessible seating. 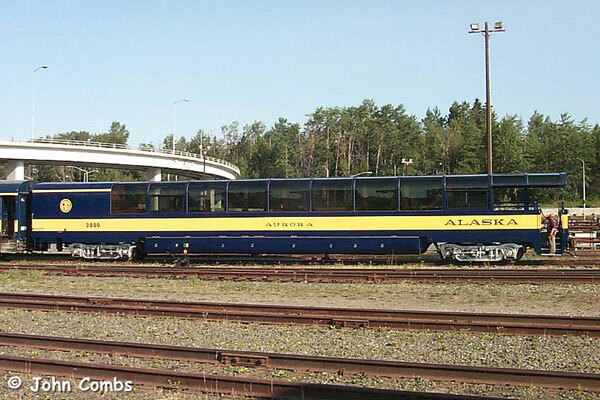 Ran as: Alaska Railroad (ARR) 557 (2007-present). 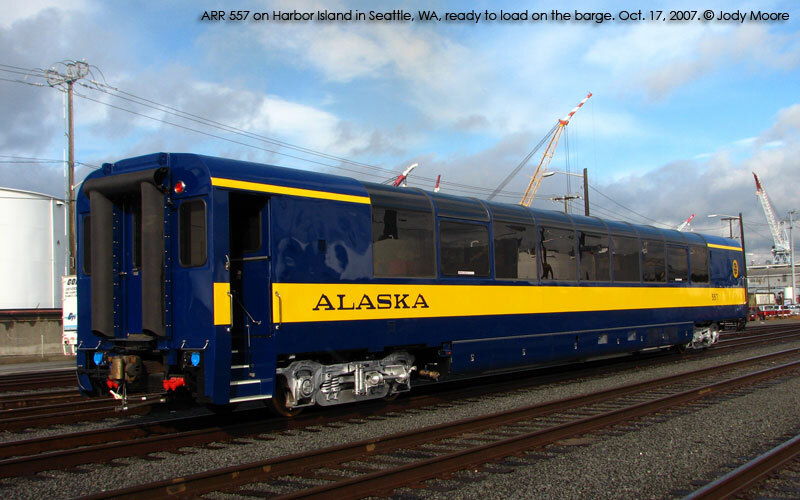 Notes: ARR 557 is a duplicate of Alaska Railroad 555 and 556, which were delivered in spring of 2006. 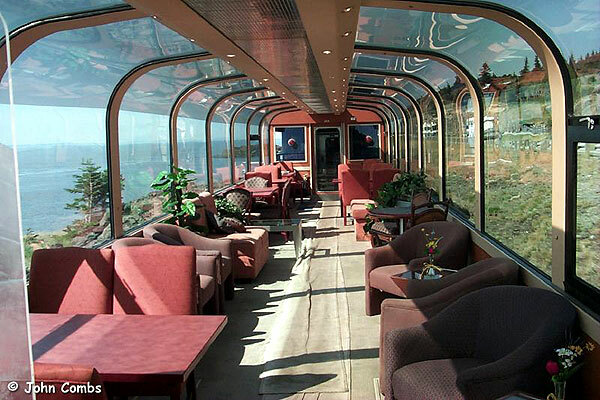 The car is a single level car, and seats 68, at table-top seating, four to a table. As built, it has a small galley on the A-end of the car that is designed to serve out about 80 light meals an hour. The car also features a service bar in the center, replacing one group of seats. Alaska RR 557 sits in Fort Lupton ready to begin its trip to Anchorage. Photo by Jody Moore. Click to enlarge. Alaska RR 557 in the siding in Federal, WY. Photo by Jody Moore. Click to enlarge. Sunset from inside RR 557 in 31st Street Yard in Denver. Photo by Jody Moore. Click to enlarge. For corrections, questions or to contribute photos, please e-mail me at: potb101@aim.com. Thanks! Back to the Ultradome Rosters or click here to go back to the home page.